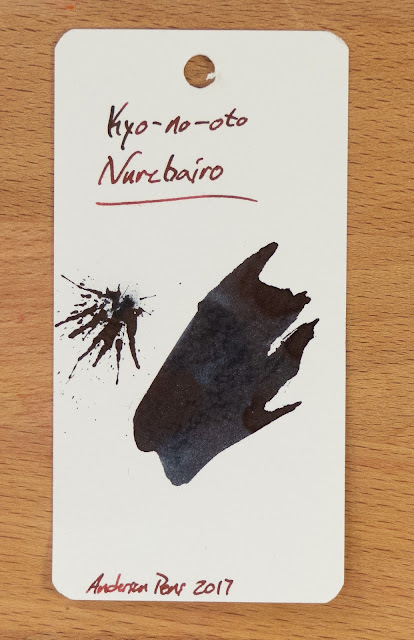 I've reviewed a couple of the inks from the TAG shop in Kyoto before, but none from this line. 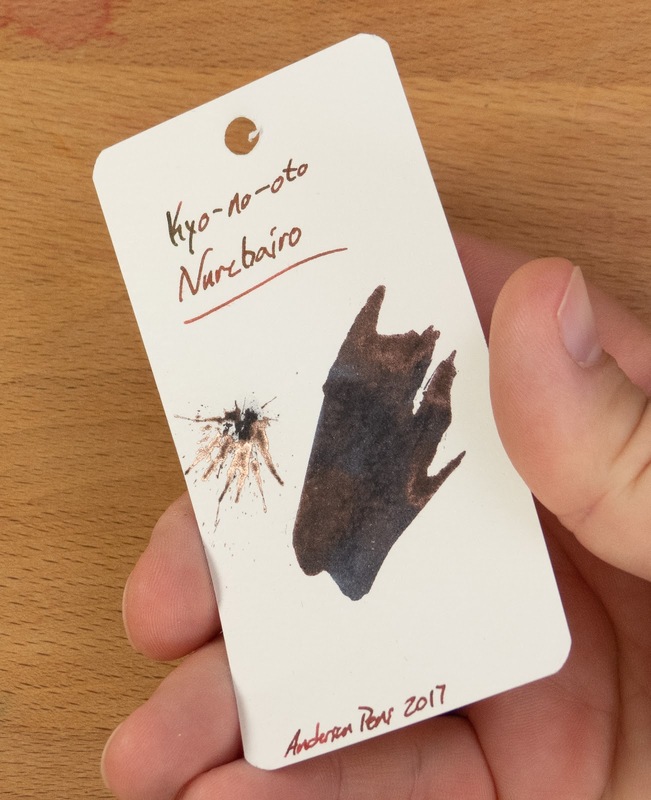 There are two lines of inks that they make (Kyo-Iro and Kyo-no-oto), and this is the first from the Kyo-no-oto line that I've tried. 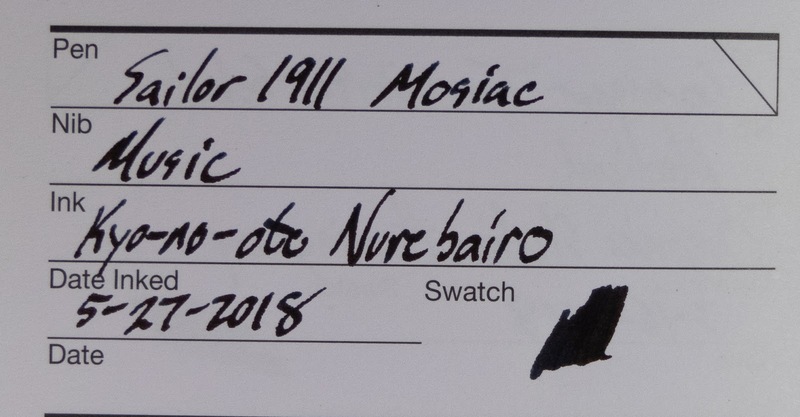 It's a somewhat deceptive ink, actually, and I've been using it off and on since about January of this year. In fact, I've used up just about every drop of this sample that Anderson Pens was kind enough to send out to me. I've got it in three pens right now, and it's only really working well in one of them. 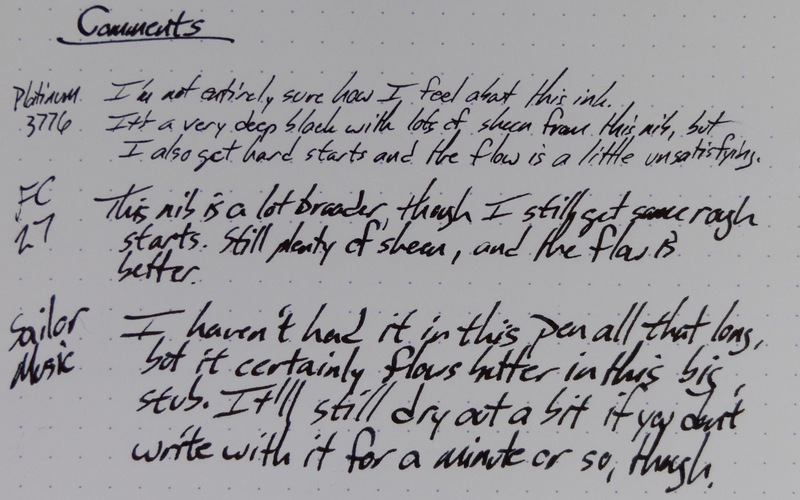 They're all fine once they get going, but this ink has a habit of drying out in the nib if you pause in your writing for too long. 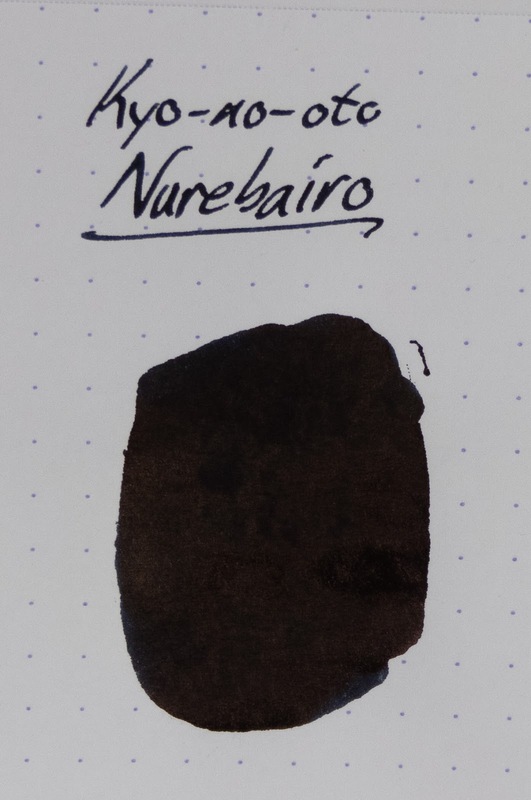 More details below, but I think this is an ink that is best used in a broader, wetter nib. This ink has been in the 3776 for the longest. I kept trying to like it, but I just don't think I do. It's a little dry and it gives me hard starts even in the Platinum. That's pretty unusual. Weirdly, every time I'd go to give up on it, wash it out, and move on with my life I would hit a stretch where it's working well and the color/sheen combo is really rad. It's better in the bigger nibs, but it's only really been reliable from the music nib. The biggest issue with this one is that it's really expensive at $28 for 40mls. Combined with the sketchy performance, I don't think this one will be making it into my collection. 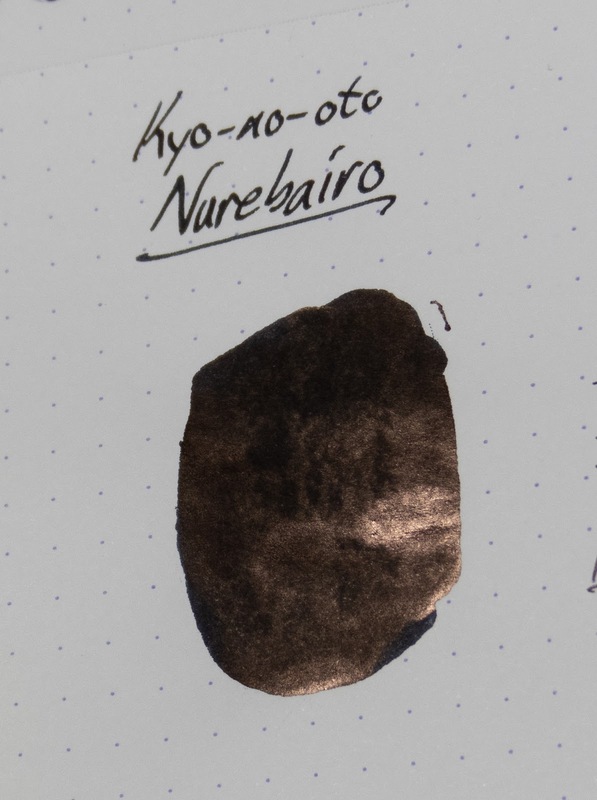 This is a pretty deep black (or at least it looks like one), but it's also got a good amount of sheen when you get it in the right light. And the sheen is a really neat color, too. Sort of a bronze or something. 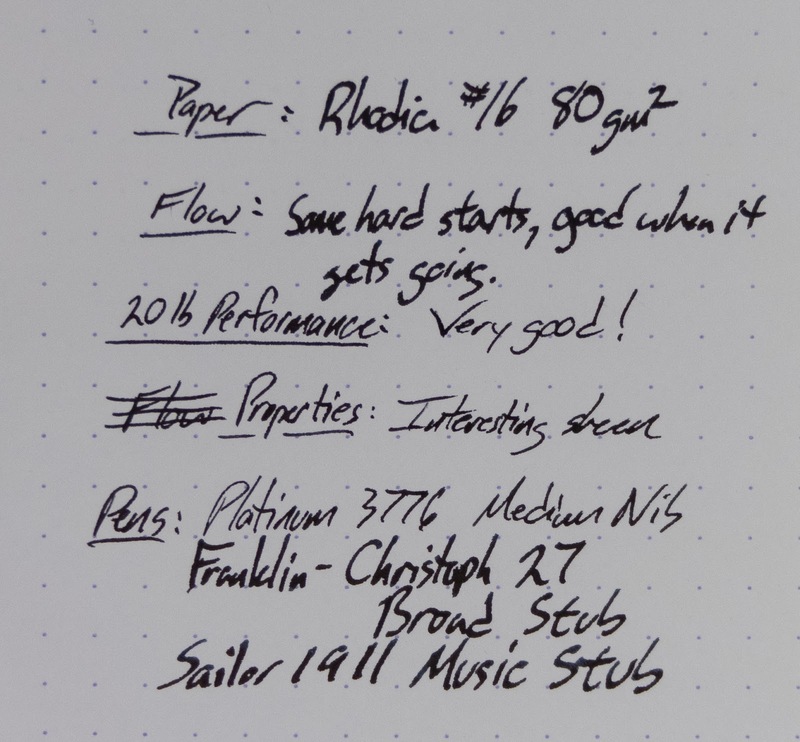 It's really good on the copy paper, and even from the music nib. No water resistance on this one. Keep it away from possible spills and don't address a letter with it. The water really brings out the blue in the ink, though. 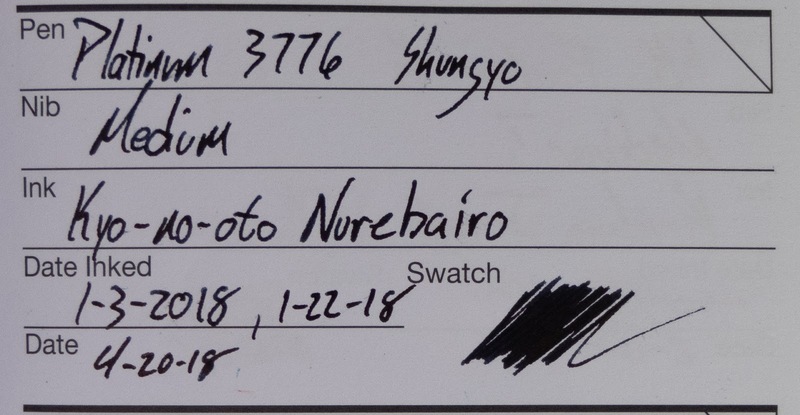 This was exactly my experience with Nurebairo. It is decidedly reluctant to leave the pen, which is unfortunate because on paper it is easily my favorite black ink. But every time I load it up, it dries up practically the moment the pen alights from the page. 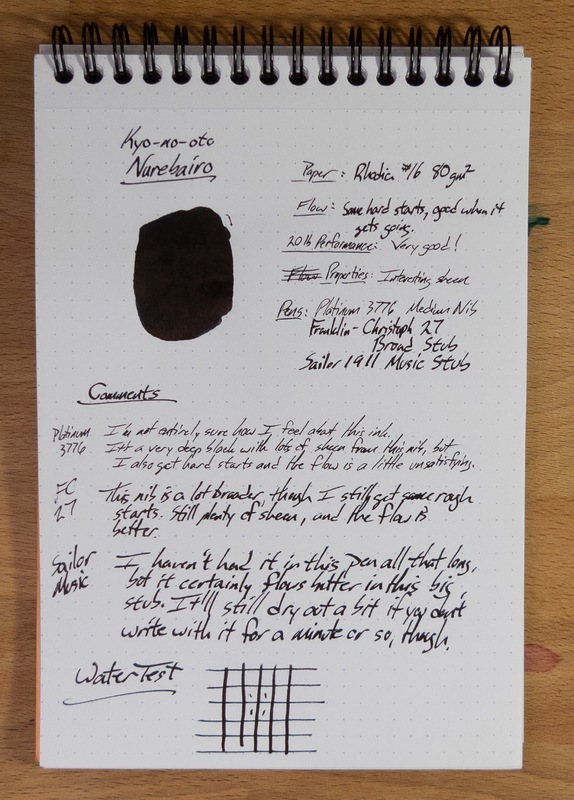 I don't know if I should add a bit of distilled water or a surfactant to improve flow, but what I do know is that with a few (albeit considerable) tweaks this would be the best ink I've ever encountered. 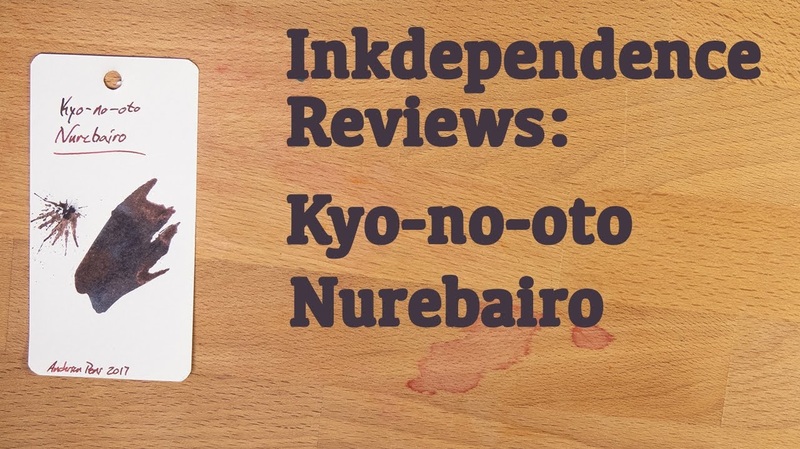 A slew of paper reviews!